Groups C and D at the Kuala Lumpur Major should provide plenty of intrigue. Virtus.pro and PSG.LGD will see their favourite status disputed by a number of smaller teams, hungry for success. This group features one big favourite in the shape of PSG.LGD, as well as Fnatic, who are expected to claim the 2nd spot and progress to the Upper Bracket. PSG.LGD were arguably the most impressive Chinese team of the final months of last season’s Dota Pro Circuit. Their strong performance concluded with a narrowly-lost TI8 final and, unsurprisingly, the team is one of few who did not make any changes in the close season. PSG.LGD won the Chinese Qualifier to earn their place at this tournament and will be considered strong favourites to win this group. In Dafabet’s outright betting, they are 3rd favourites at 5.030, behind only Team Secret and Evil Geniuses. Fnatic (12.970) have refreshed their squad for this season following some disappointing results. Abed and DJ are the only two players remaining from the previous squad and for a reason – the team largely depended on their performance. The star duo have been joined by another high-profile player in iceiceice, alongside his former team-mate Jabz. MP completes the picture, but he is also the question mark on this roster as his performances can vary. Fnatic won the South East Asia Qualifier and are considered 2nd favourites in the group. Gambit Esports are one of the few surprises in the tournament – they can be backed to win it at 79.250. The Russian team managed to qualify from the CIS Qualifier, getting ahead of teams such as Na’Vi and Winstrike Team to claim 2nd place. Gambit feature some well-known names from the CIS Dota region, such as VANSKOR, KingR and AfterLife. The current roster was formed quite recently (September 2018). During qualifying, the Russians demonstrated that they are a team who gradually gain momentum over the course of a tournament and can recover from a bad start. Still, they will be expected to finish in the bottom two in this group and head to the Lower Bracket. Tigers (19.980) were the team who had to play the most matches in order to earn their spot here. 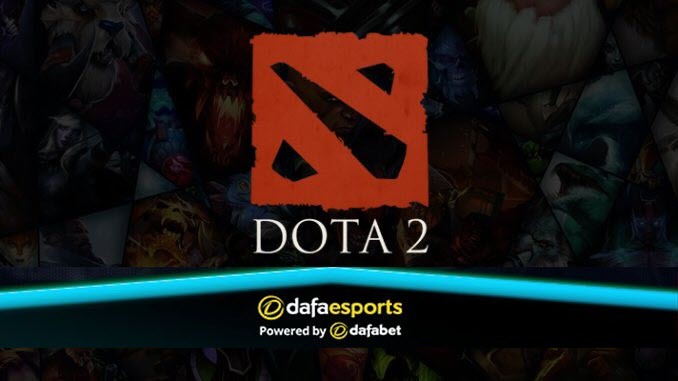 Failing to get through the SEA Qualifier, the team led by 1437 entered DreamLeague Season 10 Minor and emerged triumphant to secure their ticket to the Kuala Lumpur Major. The Tigers roster is an interesting blend of SEA players and North American ones. Once part of the glorious consecutive Major-winning squad of OG, Moonmeander returns to the Major stage for the first time since the Kiev Major. 1437 has plenty of experience captaining SEA sides, being on the roster of TNC in the past. However, Tigers will have to play out of their skin to be able to overcome Fnatic or PSG.LGD for a top-two berth. Virtus.pro were arguably the most impressive and consistent team throughout the entire DPC last season. But, yet again, their dominance would not result in the coveted title at The International and they finished 5-6th. The disappointing results prompted a change of coach, but no player parted ways with the team. Virtus.pro could not defend their ESL One title and finished 3rd in Hamburg, where they bowed out to Team Secret. Nevertheless, the Russian team remain feared and are 4th favourites to win this tournament at 5.430. They certainly look likely to finish 1st in this group. The VGJ.Storm squad were one of pleasant surprises in the group stages of TI8, where they managed to win Group B, eventually finishing in 7-8th spot. The roster left the organisation and is now fighting under the banner of Forward Gaming. Only one change was made for the new season – UniVeRsE arrived as an Off-laner. FG finished 2nd in the North America qualifier to earn their spot at the tournament. Their performance at ESL One Hamburg was below their standards and team needs to play more convincingly to earn one of the top two spots in the group. Forward at 16.570 to win the event. paiN X – the rank outsiders at 296.930 – are a newly-formed sub-division of paiN Gaming. They managed to qualify as the 2nd-best team in the South American Qualifier, losing to their ‘parent’ team. The roster features CCnC, one of the most promising Mid players, who came into the spotlight as part of OpTic Gaming in the previous DPC season. They are not, however, expected to fight for the top spots. Finally, Alliance are a team who have been missing from the stage of prominent tournaments for a very long time. Featuring various rosters, Alliance failed to appear at a Major throughout the entire 2017/18 season. The current line-up has been together since November 2017 and being together for a year has finally started to pay off. The appearance of the name Alliance on a Major stage will undoubtedly bring sweet memories to veteran Dota 2 fans. Attending a Major is a success in itself; now Alliance will hope to build on it by progressing further. They are 79.250 to win the event.